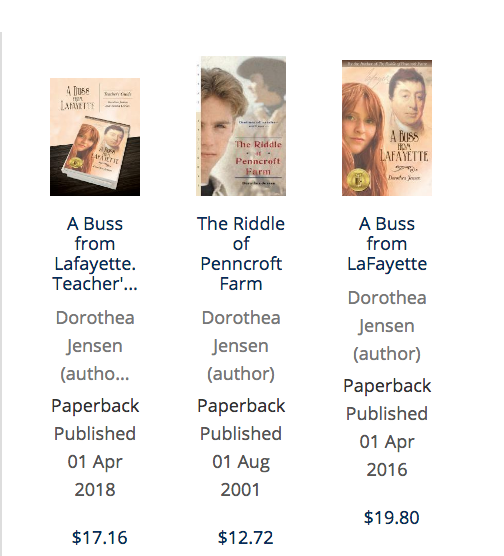 The Professor, the "Heroine", the Villain, and the Bookshop! 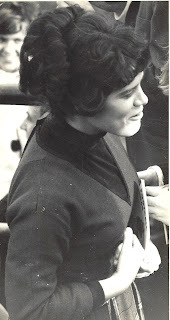 When I was a student at Carleton College in 1964, I took a Jane Austen seminar. In the summer before school started, everyone in the class received a letter from the professor, Owen Jenkins. He instructed us to order a complete set of Jane Austen's novels from Blackwell's Bookshop in Oxford, England. I remember being thrilled at the opportunity to buy books from this venerable, respected, academic British bookstore. It seemed very exotic to do so. My Jane Austen books arrived, and I have them still. I'd like to be able to report that I aced the seminar, but I didn't quite. One reason? Mr. Jenkins specialized in sarcasm, which terrified me and rendered me speechless. This had NEVER happened to me before. 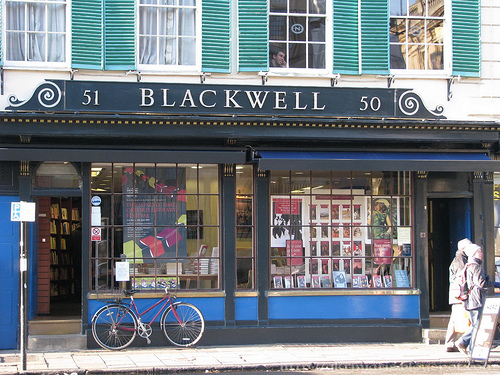 Anyway, when my husband and I went to Oxford many years later, we made a point of visiting Blackwell's, and it was as venerable as I had envisioned. They also carried my Izzy Elf books, but for some reason did not display the cover art for those. No matter, my Izzies have made the big time, as far as I am concerned! I'm sure they are all delighted to find themselves available through such a venerable, respected, academic British bookshop! How I wish I could tell Mr. Jenkins!